Has anyone noticed there actually isn’t really a plan for managing flooding in Somerset be it Tidal or Fluvial. Lots of headlines and pictures of grandstanding councillors on river banks but little substance. Our particular collective flood Emperor has no clothes whilst the myth that somehow the Bridgwater Tidal Barrier (BTB) is part of the solution to the avoiding a repeat of the 2014 flood is allowed to persist. People imagine that things are being done and there is a big picture somewhere. There isnt. The Somerset 20 Year Flood Action Plan is little more than a maintenance list that should have been done and wasn’t; it is a complete misnomer. In three years since the 2014 flood there is no big plan looking forward the next 200 years. There is no context that explains where the value of all the money being spent is. There is no excuse for such short sighted behaviour by our officials and elected representatives. 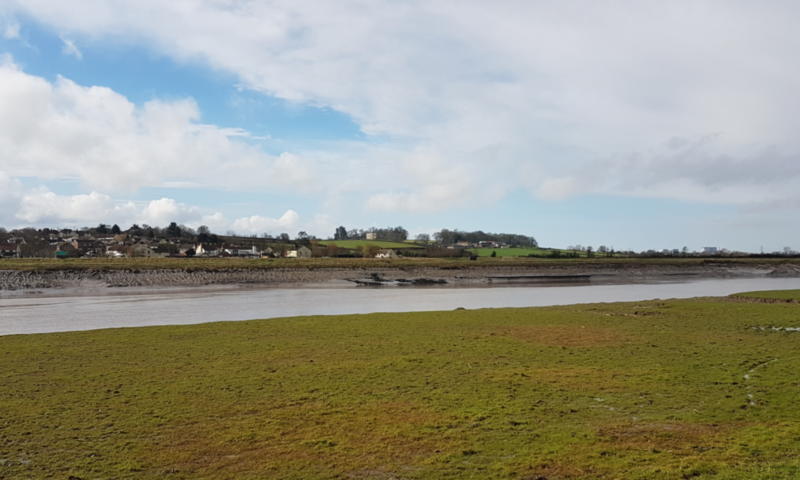 At least the Somerset Rivers Authority (SRA) carried out an economic impact assessment of the 2014 flood which is more than the EA and Sedgemoor District Council (SDC) have done for the Bridgwater Tidal Barrier. The development of new ideas seems to be more akin to those seeking alternative medicinal remedies; they seem to be ones that will turn the Levels into some theme park rather than look at something that can be delivered over the decades and centuries ahead. The Managed Retreat (Realignment) of our coastline is not a panacea to rising sea levels; it has its place but needs to be challenged when there are viable options. Giving the EA the excuse and licence to do little or nothing is not acceptable. Those involved with W&WT and the RSPB as consistent beneficiaries of these EA policies and alongside Natural England makes an unholy alliance that is no friend of Somerset’s people. Plenty of councillors are sat on committees and they should be ensuring rigorous debate and the publishing of useful information rather than the almost complete lack of detail in the public domain. The private sector would not be allowed to get away with this lack of transparency or vision. Despite knowing that the rise in sea level has no recognised end date Somerset has decided on a 100 year scheme. Our King Canute moment. Options such as closing the gap between Stockland Bristol and Pawlett Hill less than 2 Km ( 1.3 miles) long compared to around 15 km (10 miles) both banks from Combwich to the selected site in Bridgwater or 7.5 Km if you allow Pawlett Hams to go the way of Steart Peninsula. Two option studies paid for by the taxpayer and Combwich not even considered as an option in either and the backdoor flood route at Walpole still not acknowledged when the EA visits landowners. The credibility of the EA , its consultants and our oversight committees is very poor. The King Sedgemoor Drain improvement is a Fluvial conveyance scheme that cannot reach its full potential because of the location of the tidal BTB upstream of Dunball Clyce. The EA in this matter described themselves in recent correspondence as the SRA’s sub contractor. Flood schemes are kept in silos of fluvial and tidal rather than in developing a single holistic solution for Somerset. The EA and other organisations make it very difficult to see the full picture. There is a serious lack of transparency, accountability and independent review in the process. There is more information in the public domain about EDF’s Hinkley Point C power station then there is about these schemes especially the Bridgwater Tidal Barrier. It appears the EA did not want the Chilton Trinity and Pawlett Hams landowners to be aware of what would not be done to protect their land choosing to hide behind the rather opaque Parrett Estuary Flood Risk Management Strategy. Something noticeably low key to the point of invisibility in the EA’s 2016 consultations at the Bridgwater Art’s Centre. The reasons that undertakings given by the EA and SDC in Protecting Bridgwater and the Somerset Levels & Moors from Tidal Flooding-Flood Risk Management Review -November 2014 were never followed through and just quietly dropped has never been explained. With a blank sheet of paper and little or no restrictions on what we might do to protect the South Somerset Levels including areas of Sedgemoor, Taunton Deane and South Somerset there is still a blank piece of paper. Rarely has such an opportunity been squandered. There is nothing that explains what happens to the Tidal Surge Barrier when we cannot raise the banks any longer which in reality we cant now and Pawlett Hams and Chilton Trinity have become mudflats/ salt marsh and the cost of building downstream prohibitive. Its interesting to note how many people sit on more than one of these committees. These committees have people with no engineering knowledge or experience apart from the EA & IDB and all EA’s donkey work is done by US and Canadian third party consultants with no attachment to the area. The EA’s contribution to Somerset is questionable now as they have been reduced to little more than a middle man. It really is time that Somerset had a suitable organisation capable of bringing a long term vision to secure the future of Somerset. Whilst attendance at committees is so lucrative nothing is going to get done . The EA is not a delivery based organisation and needs to be changed or replaced. The SRA has no structure or suitable people able to develop and execute the vision and solution we need. The system we have is clearly not fit for purpose. The situation for Somerset, the rest of the West Country and no doubt other regions of the UK is that they need their own independent Engineers with local knowledge. Engineers able to provide continuity in advice to the committees and oversee the EA and IDB and other agencies. that each agency (EA, Highways, Rail) continues to builds its own thing, we need to combine flood defence with other infrastructure works. that strategic flood decisions can be left to seconded senior local authority officers with little or no knowledge of the subject. the lack of an independent peer review process. The lack of transparency – there is nothing published on the BTB website that tells you why. There is little value value in an undated progress report that can be found there that does not measure progress. all these organisations whose main purpose seems to be to invite people from other groups to attend their meetings at our expense. WE NEED A PLAN and we need to end the Flooding Golden Goose. on the 14th of July 2017 a meeting of the Scrutiny Committee will take place in Taunton . It is open to the public.